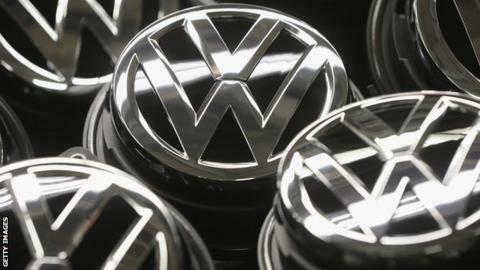 The Volkswagen Group, the world's second biggest car maker, is conducting a feasibility study into a potential Formula 1 entry. Sources say the review is being conducted by ex-Ferrari team principal Stefano Domenicali, who was hired by VW's Audi brand earlier this year. Its interest is being piqued by the global marketing success achieved by rivals and new F1 champions Mercedes. But any entry would depend on management changes at VW or F1. Ferdinand Piech, the head of the supervisory board of the VW Group, and F1 commercial boss Bernie Ecclestone have long had a difficult relationship. At least one of them would need to leave their current position before a VW Group brand could enter F1. VW was on the working group of car manufacturers that decided on the new turbo hybrid engine rules introduced into F1 this season, but decided against entering at that time - and, publicly, has not changed its stance since. But sources say that some senior board members now believe F1 would be a more effective global promotional tool than its existing motorsport programmes. "The Volkswagen Audi Group is the second biggest car maker in the world and as such it needs to be in Formula 1. But it will not enter it while the sport remains under the control of Bernie Ecclestone, who VAG boss Ferdinand Piech dislikes on a personal and professional basis.Martin Winterkorn - the chairman of the board of management of Volkswagen - is being groomed as Piech's successor and he has always believed that F1 is a great platform for the group's brands. I am told he privately believes VAG should be a part of F1. If VAG did come to F1, I believe it would be with their own team, with the car designed and made in Germany." Among the Volkswagen Audi Group's brands, as well as VW and Audi, are Porsche, Lamborghini, Bugatti, Bentley, Skoda and Seat. VAG currently has three main motorsport programmes - with Audi and Porsche in the World Endurance Championship, Audi in the German Touring Car Championship (DTM) and Volkswagen in the World Rally Championship. The global advertising value of Mercedes' television appearances during its F1 campaign in 2014 was $2.8bn (£1.8bn). Experts believe the equivalent value for VAG of their sportscar and touring car programmes was about $30m (£19m). Mercedes spent a net 130m euros (£103m) on F1, once external sponsorship and prize money is taken into account. VAG spent about 320m euros (£254m) on DTM and sportscars. Some reports have linked a potential VAG return with the Austrian Red Bull team - Piech has a close relationship with Red Bull owner Dietrich Mateschitz. But sources say that VAG turned down an approach from Red Bull some years ago and that if it did enter F1 it would be with its own team based in Germany. Asked for a comment, a spokesman did not deny the information but pointed to an interview with the chairman of the VW board of management Martin Winterkorn in the German newspaper Bild Am Sonntag last month, in which he suggested the group was happy with its existing commitments. Winterkorn said: "Our brands in motorsport are as successful as ever, whether in the DTM with Audi or Le Mans with Audi and Porsche, or in the World Rally Championship with Volkswagen. We feel we have really good position." Audi chairman Rupert Stadler said in an interview with another German newspaper, Heilbronner Stimmer, that Domenicali had expressed a desire not to work in motorsport and that he was working in "organisation and new business fields in the areas of service and mobility".